The bad news just doesn’t stop coming for oil. It all began when Saudi Arabia had turned on the production spigots to counter growing production from American frackers, and now it has to contend with the geopolitical dimensions of the growing power of Russia and Iran in the Middle East. The calls are growing for $20 oil and even $10 oil as there seems to be no prospects of an end to the oversupplied market. In that case, why is the Australian Dollar rallying against the Canadian Dollar when Australia is more sensitive to bulk commodities and Canada is more sensitive to oil prices? 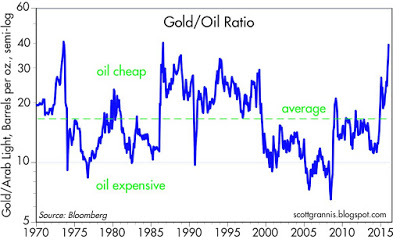 As well, why is the gold to oil ratio show oil to be so cheap relative to gold in a multi-decade time frame (via Scott Grannis)? We may be approaching a generational low for oil prices and energy stocks. These kinds of events will be easy to identify in retrospect, but investors may be gripped by either fear (oil) or greed (Tech Bubble top) at the moment. With Iranian oil about to hit the market, I have no idea where oil prices might go in the short term. 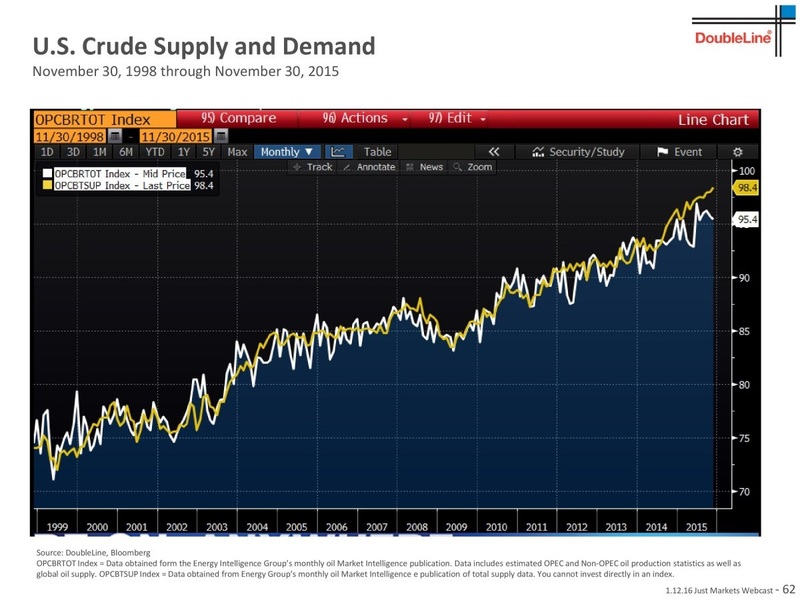 I do know that oil demand will rise (recall the Gundlach supply-demand chart above) to absorb the excess supply. I do know that oil prices are experiencing a positive RSI divergence, which indicates that downside risk is low on a multi-year time frame. I also know that anyone who is willing to look over a potential valley and buy well-capitalized large cap integrated oil companies, whose refining operations are natural hedges to lower oil prices, should be very happy with their decision a few years from now. Buy! Blood is the streets! From a sentiment standpoint, today was a capitulation day of the first order. I know it’s the first order when I find myself under my desk shortly after the opening. I am my best sentiment indicator. One has to be skeptical about anecdotal sentiment measures. Yes, there have been calls for $10 or $20 oil, but at the same time there seem to be many people saying, as you are doing, that this is a great buying opportunity for oil stocks. I think there is a good chance that both predictions are wrong. Maybe oil doesn’t drop any further from here, and slowly creeps its way back to the low $30s, but oil stocks continue to drop, because they haven’t dropped as much as they should have, given the fall that has already happened in oil prices. 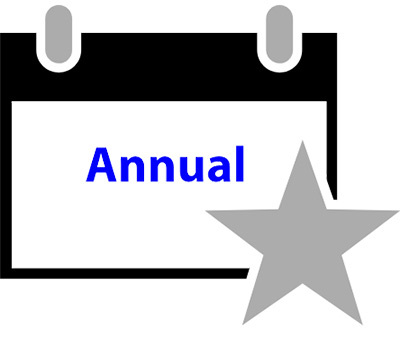 Keep in mind a lot of investors are attracted to the companies because of dividend yield, and may be underestimating the likelihood of dividend cuts over the rest of 2016. I’ll ask the same question I did a week ago, which is, do you happen to know a good oil analyst who can say what price of oil the average oil stock is discounting? 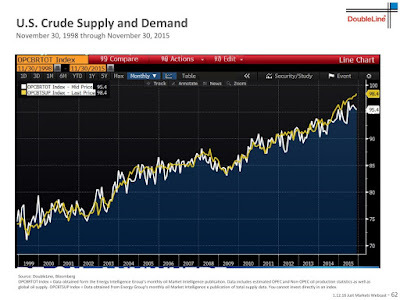 If the stocks are discounting $20 oil, then the odds are on the side of the longs. But if the stocks are assuming that oil will quickly be back to $45, which I think might be the case, oil can move back up well into the $30s and the stocks still have a leg down. At extreme turning points both high and low, valuing based on the discount or surplus to the current price of oil can lead to inaction when action should be taken. I remember in the spring of 2008, when oil was at $140, research reports came out and said the stocks were only discounting a hundred dollar oil price, so the stocks were cheap and should be bought. That led to ruin. Commodity stocks tend to turn up or down before their underlying commodity. They confound value investors who look at earnings because they are cheapest at the top of their business/stock cycle and expensive at the bottom. Rick, Great question. I would love to know as well. How fast oil recovers should also be a significant determinant of stock price even if oil were to bottom soon. Turing point will be when the world figures out what Iran will deliver to the market. Estimates vary form none (some suspect that Iran already smuggles 500k bbls/d and they will simply start counting it) to 200 k bbls/d to 300 k bbls/d to 500k bbls/d. 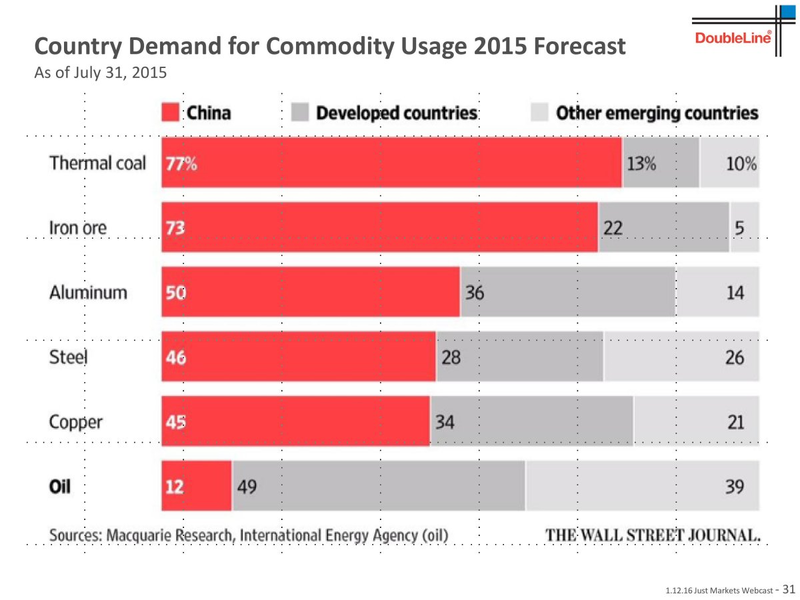 Eventually increased demand (1+ m/d/year) and decline rate in existing fields (4 to 6%) will balance supply demand. I just don’t when “eventually” will happen! given that crude 12m carry is at 22%, I would think the buy is on Ruble if one really thinks oil bottomed. thats 9% positive carry vs 22% negative. or some smart guy can do a pair trade on this. the ratio can be tricky. also, I believe if the oil really turns from here, it must also be a dollar top too. So long gold, given its strength shown this year already, can be an alternative. sentiment on gold is quite poor too. One more argument against crude is SPX might still need to fall more to let fed really roll to the QE side (Dalio’s speech). But gold does not need to listen to SPX. in short, RUBLE and GOLD. PS. 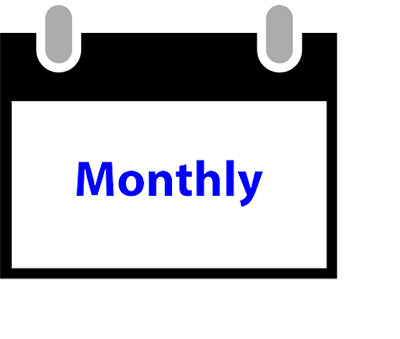 into ecb, fed, and boj meetings by the end of Jan, long risk as a trade is prob finally here. enjoy with stop loss! One way to fathom bottom in oil prices is to watch mega mergers. See Exxon buying out Mobil in 1998. Of course, this time could be different, but I am keeping this rule of thumb at the back of my mind. So far, nothing major has happened. Yes, SU just offered CNQ for around 3 billion US$. Would love to see a mega buyout, like BP being bought out (market cap 87 billion) or perhaps COP (42 billion) or say MPC (22 billion). Yes, consolidation would be a good thing, but for now no one is ponying up any cash. I agree with Cam, we are closer to a historic bottom barring oil prices in the low teens (I remember 8$ barrel in 1998). I wonder what smaller OPEC countries must be going through at present. While Saudi Arabia and Kuwait have the cash reserves to sustain low prices, smaller oil producers are probably close to crying uncle. But how much are they really being forced to sell? And how big is the effect of this on the markets? Looks like the 20th WAS the capitulation day. Thankfully I came out from under my desk and bought some energy stocks that day. Today I bought a mining ETF. Also took a good swing at a general Canadian market ETF. 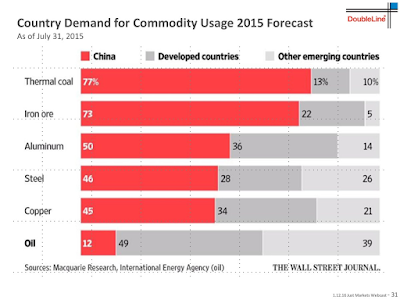 Looks like we have a tradeable rally in force in commodities and commodity currencies. Dark humor has dominated oil panels at Davos this year, notes Reuters energy editor Dmitry Zhdannikov, as industry leaders come to grips with plummeting crude prices. At one panel, the president of major oil producer Azerbaijan — where protestors last week took to the streets over the collapse of the national currency — made a quip about OPEC meetings. “Every time OPEC meets, the price goes down,” President lham Aliyev. “Therefore, we are very concerned about a possible new meeting. Maybe better not to have it?” Aliyev humorously asked a panel with Aramco chairman Khalid al-Falih.